Definition at line 1323 of file Expr.h. Definition at line 1325 of file Expr.h. 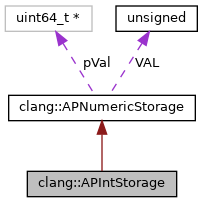 Referenced by FindTypeTagExpr(), clang::FloatingLiteral::getValueAsApproximateDouble(), isIdenticalStmt(), clang::InitListExpr::isIdiomaticZeroInitializer(), clang::Expr::isNullPointerConstant(), clang::ento::SValBuilder::makeIntVal(), printExprAsWritten(), ValidDuplicateEnum(), clang::TextNodeDumper::VisitIntegerLiteral(), and clang::ASTNodeImporter::VisitIntegerLiteral(). Definition at line 1326 of file Expr.h. 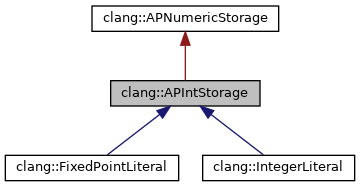 Referenced by clang::FixedPointLiteral::FixedPointLiteral(), and clang::IntegerLiteral::IntegerLiteral().